With white sand beaches offering views of glorious sunrises and sunsets the quaint little town of Cape May has been dubbed the Culinary Capital of New Jersey due to its fantastic assortment of fine dining establishments and casual eateries. Located at the southern most tip of the state of New Jersey, Cape May is a historic seashore town, a bird lover’s paradise, and a fisherman’s dream come true. The boardwalk, which is more of a protective seawall, is used for walking, biking, and enjoying arcade games and boardwalk foods. Come spend some time visiting Cape May this spring and stay in our comfortable and accommodating Cape May vacation rentals while you’re here. Cape May is one of the most historic beach communities in the country and it’s been named among the 10 best beaches in the U.S. as well. New York City, Philadelphia, and the Baltimore/Washington area are all within a two hour drive of Cape May. Day trip possibilities abound as the close proximity provides opportunities for residents to explore three of the top 10 metropolitan areas in the U.S. while staying in our Cape May vacation rentals. 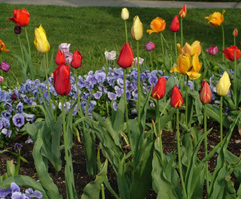 The Cape May Spring Festival is being held April 27-May 6, 2012. Make your reservations now for Cape May vacation rentals if you’re planning on coming to the area to celebrate spring in Cape May.